Twenty four hours and I’ll be in Kona, two weeks and the race will be done. I’ve doubts about fitness, but certain my Skinfit kit is up to the job. Euro-style white is a bold choice when you’re not sure you’ll be up the front of the pack! The last fortnight looked nothing like plans set out a few months back. 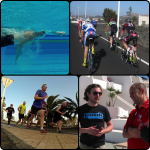 As I logged less training time and ate a little more carbs I found performances on the bike that gave me confidence. 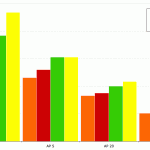 New peak power PBs set in the first week were beaten less than seven days later. Long rides took on intensity levels I’d not seen outside of Lanzarote. Average power up, normalised power up, consistency up and I was backing my training every day. If anything puts the nail in the coffin for a fixation with training volume it’s surely this? The last time I trained for thirty hours was three weeks back. Outside of that my Kona build has been low twenties at most. All without running, but even then low compared to last year. Take TSS (a metric I’ve written about recently) and I was scoring similar weekly values in much less time. Pool time has given me confidence in swimming despite inaccuracies in measurements. The local council has little interest in providing a working pool clock so timings are far from precise. When I’m not counting lengths I’m counting rest interval seconds in my head at the end of the lane! What’s key is how strong and stable I’ve become in the water. A feeling of control and more power coming through the core and hips. I swim with a sense that it’s easy to adjust my speed by altering cadence or extra focus on gripping the water and pulling myself over it. Hopefully this feeling translates to better swimming! Running has long been absent from the program as my calf misbehaved at the slightest opportunity. The last week has seen three runs of three kilometre. Each has felt relaxed and I’ve come away without a hint of previous issues. That alone is a positive sign, but pace was more encouraging. Immediately I settled in to an easy 4:35 min/km pace not PB territory, but not a million miles away from race pace. On my last two runs I couldn’t resist pushing a little. Bad behaviour, but the result was final kilometres closer to 4:00 min/km and still no problems. September has transformed me from an uncertain athlete to one excited and optimistic about things to come. Confidence would be too strong a word I’ve no idea what the lack of running will mean, nor how I’ll perform on the day. The issues I’ve experienced on the journey removed pressure and performance anxiety. I approach this race with the goal of making the most of the day that comes. Training suggests I’m stronger than last year whatever hours say. In Performance Management Chart terms my training has consistently raised fitness without major spikes in of fatigue. In a sense I’m more rested which could be a potent combination with good fitness. Time to taper. Ease back a little, keep the body ticking over and really allow recovery. I’ve not got as big a hole to dig myself out of and I’m certainly less stressed. This is going to be fun and I can’t wait to get out onto the big island and catch up with lots of friends. Expect regular blogs and video thanks to the new camera. I’m open to requests just add a comment below, send a tweet or email with suggestions of what you’d like to see. I’ll do my best to provide some great coverage of this year’s trip. Kona feels like a social gathering finishing with a race!